Intelligence tests, like the famous IQ test have been around since the early 1900s. French psychologist Alfred Binet developed what was called the Stanford-Binet Test in 1905. The objective of IQ tests is to measure the ability of a person to understand and learn complex intellectual concepts. It is a good measure for determining academic success, but it is less useful at predicting happiness or success in life. The IQ score is normalized for a mean of 100 with a standard deviation of 15. That means roughly 95% of the population will fall between 70 and 130 IQ. Lower than 70 means some form of mental deficiency while scores above 140 signify genius-level intelligence. The reason a higher IQ does not always spell success in life is because genius-level individuals are often reclusive or socially maladapted. In the 1980s several social scientists developed the concept of Emotional Intelligence (commonly called EI) which is not a numerical scale like IQ. Rather, EI is a measure of the ability of an individual to work well with people at all levels. Higher Emotional Intelligence is a good predictor of success in professional life and also in social activities. Keith Beasley coined the term Emotional Quotient (EQ)in 1987 but the term Emotional Intelligence was popularized by Daniel Goleman in the mid 1990s. Goleman wrote several books and articles on the topic and is still active today. There are some interesting facts about the difference between IQ and EI. One’s IQ is very difficult to change. Whatever IQ we have as a child is pretty much what we are stuck with or blessed with throughout life. Sure, we can increase our knowledge through education of all forms, but our ability to learn intellectual material is mostly a fixed quantity. By contrast, it is possible to develop one’s Emotional Intelligence rather easily at any point in life. That is because we have the ability to train our brains to react differently to conditions if we choose. That is a highly liberating thought, because it means that we can enhance the quality of our lives through study and effort to develop higher EI. Can you improve your Emotional Intelligence by plowing your driveway? I think so, and I will explain a fascinating analogy later in this article. I read a recent book on Emotional Intelligence by Travis Bradberry and Jean Greaves entitled Emotional Intelligence 2.0. If you have not been exposed to this book, perhaps my article will whet your appetite to purchase it. This leads to a description of the four quadrants of EI as described by Daniel Goleman in 1995. The book contains a link to an online survey that lets you measure your own EI. This is an interesting exercise, but it lacks validity, because people with low EI have blind spots, as described by Goleman. You might rate yourself highly in EI when the truth, in the absence of blind spots, is somewhat lower. Still it is nice to have a number so you can compare current perceptions to a future state after you have made improvements. Most of the book consists of potential strategies for improving Emotional Intelligence in any of the four quadrants described above. You get to pick the quadrant to work on and which strategies (about 17 suggestions for each quadrant) you think would work best for you. The approach is to work on only one quadrant, using three strategies at a time for the most impact. The authors also suggest getting an EI Mentor whom you select. The idea is to work on your EI for six months and retest for progress, then select a different quadrant and three appropriate strategies. The trick is to train your brain to work slightly differently by creating new neural pathways from the emotional side of the brain to the rational side of the brain. This is where plowing your driveway comes in. We are bombarded by stimuli every day. These stimuli enter our brain through the spinal cord and go immediately to the limbic system, which is the emotional (right) side of the brain. That is why we first have an emotional reaction to any stimulus. The signals have to travel to the rational side of the brain for us to have a conscious reaction and decide on our course of action. 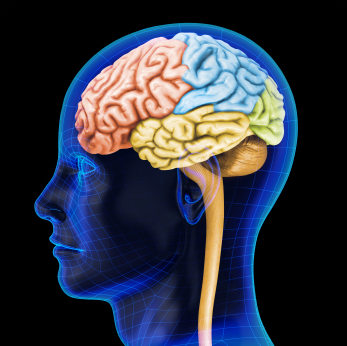 To do this, the electrical signal has to navigate through a kind of driveway in our brain called the Corpus Callosum. The Corpus Callosum is a fibrous flat belt of tissue in the brain that connects the right and left hemispheres. How easily and quickly the signals can move through the Corpus Callosum determines how effective we will be at controlling our emotions. This is a critical part of the Personal Competency model as described by Goleman. Now the good news: whenever we are thinking about, reading about, working on, teaching others, etc. about EI, what we are doing is plowing the snow out of the way in the Corpus Callosum so the signals can transfer more easily. Translated, working with the concept of EI is an effective way to improve our effectiveness in this critical skill. After reading the book, my awareness of my own emotions has been heightened dramatically. I can almost feel the ZAP of thoughts going from the emotional side of my brain to the rational side. Oops, there goes one now! Given that roughly 60% of performance is a function of Emotional Intelligence, we now have an easy and almost-free mechanism to improve our interpersonal skills. I hope you will go out and purchase this little book, particularly if you are a leader. For leaders, EI is the most consistent way to improve performance and be more successful.